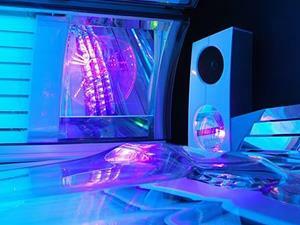 Welcome to the Tanning Studio King’s Lynn. We offer the largest selection of superior ergoline equipment locally, maintained to a high standard and all in a relaxed, friendly, professional atmosphere. Tanning starts at 36p per minute. We also have sunless tanning and stock Australian Gold. Open 7 days a week.